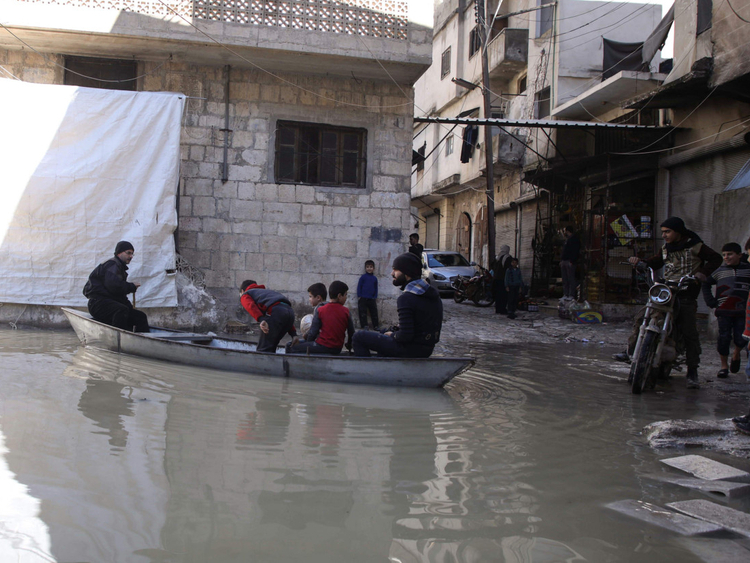 Darkush, Syria - The alleyways of the Syrian town of Darkush are normally thronged with pedestrians but since the swollen Orontes River burst its banks, Abu Ihab’s boat has provided the main way of getting around. The 49-year-old farmer normally takes a well-earned rest in January when winter frosts turn his fields as hard as rock. 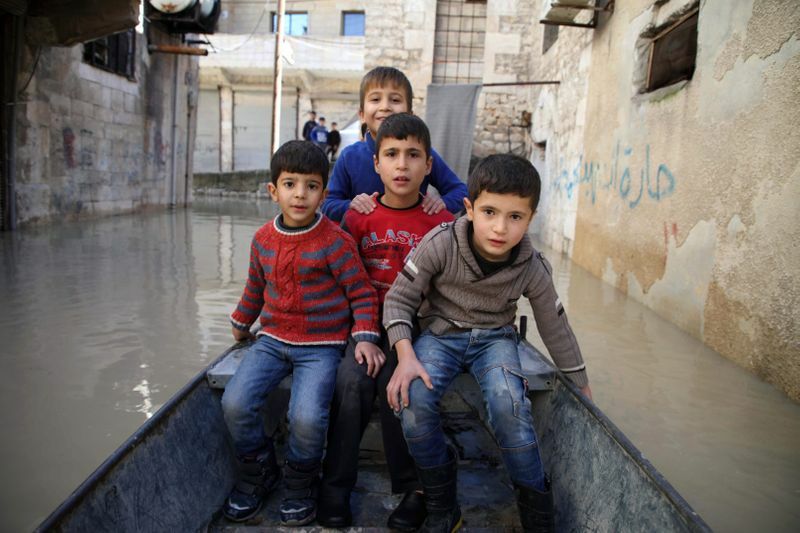 But this year, days of torrential rain in the mountains of Lebanon has sent a deluge downstream, submerging the streets of his hometown under as much as a metre and a half of water. So instead the father of four is working long hours each day paddling his boat around the streets helping stricken residents to get their children to school, do the shopping or check on relatives. “In winter, I don’t usually leave the house much as it is cold and it rains. But this year I felt that people needed me,” he says as he provides yet another ferry ride to grateful fellow townspeople. Abu Ihab normally uses his boat for summer fishing on the Orontes to supplement his farm produce. He is one of the few in the town to own one so he offers his services for free, delivering fresh bread from the bakery or ferrying excited children on an unaccustomed school run by boat. “Today, people are staying at home. They can’t even get to the shops to buy food,” he says, wearing a woolly hat and jacket against the cold. It is not the first year that he has provided his free boat service. “Most years there are spates but this year is a really big one because of the torrential rains,” he says. The ground floors of houses close to the river have been inundated. The mainly Sunni Arab town close the Turkish border lies in Idlib province which is largely under the control of extremists led by Al Qaida’s former Syria branch. Across the province, the torrential rains have triggered flash floods that have caused widespread hardship, particularly in the vast tent cities set up for the displaced. Civilians who have fled other parts of Syria recaptured by regime forces make up around half of the resident population of Idlib and neighbouring rebel-held areas.